Imagine you and your spouse relaxing inside this travel trailer after fishing at the lake, kayaking down a river, or shopping at the local stores. You might enjoy the dual entry feature the most when you decide to sneak out the main entry to catch a fish early in the morning so you don't wake up your spouse. 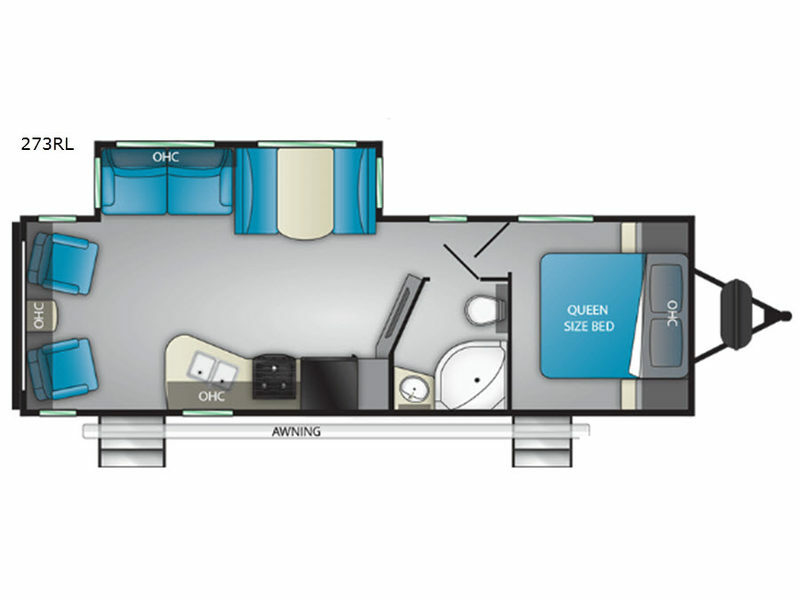 The front bedroom offers a comfortable queen bed, plus wardrobes and overhead storage for all your clothing and things. 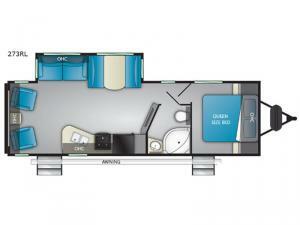 Now imagine making meals together in the galley kitchen and relaxing on the chairs or sofa while talking about the day. You can dine and play games at the dinette when you aren't relaxing outside under the awning. Take a look today!